Home/Computers/BBC Computers/BBC Games/Bounty Bob Strikes Back! BOUNTY BOB STRIKES BACK. 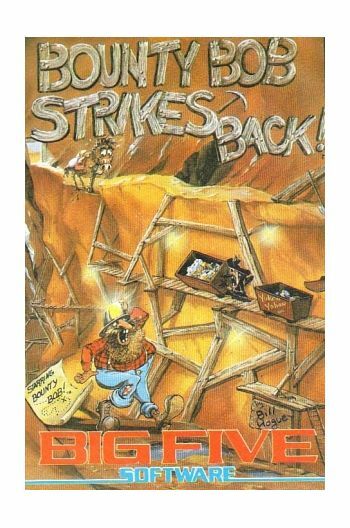 BIG FIVE SOFTWARE. 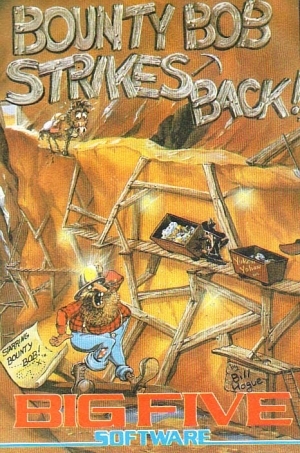 Bounty Bob returns in this new and exciting follow-up adventure to Miner2049er. 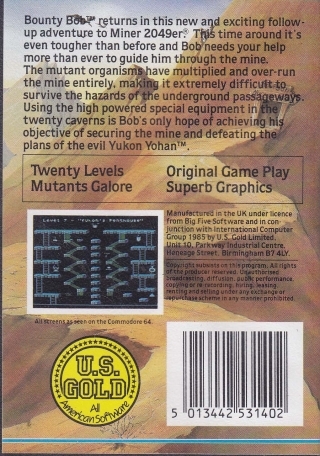 This time around it's even tougher than before and Bob needs your help more than ever to guide him through the mine.The mutant organisms have multiplied and over run the mine entirely, making it extremely difficult to survive the hazards of the underground passageways. 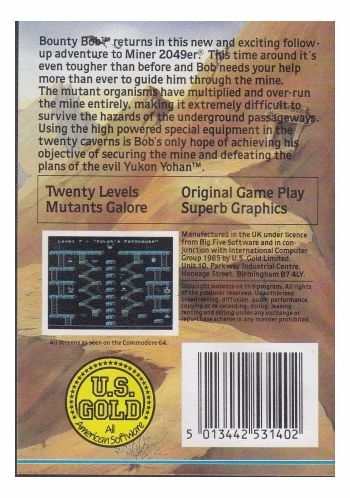 Using the high powered special equipment in the 25 new caverns is Bob's only hope of achieving his objective of securing the mine and defeating the plans of the evil Yukon Yohan! Instructions Included.